Every family wants to have a family portrait, especially if they have children–but it's not something everybody may be thinking about. They want it, but just never get around to making the call to the local studio down at the mall. You can take advantage of this need by hosting a fundraiser that offers photography sessions and family portraits. And the great thing about this option is that if you do it through a third party specialist studio, you don't have to spend a penny. All you have to do is sell gift certificates for a single portrait. 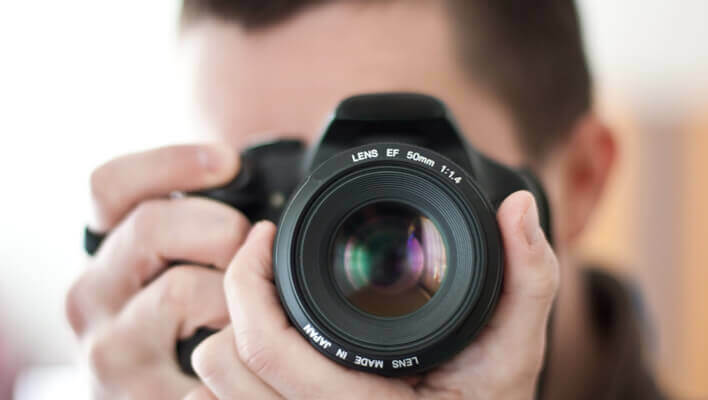 By far, the easiest approach is not to deal with the photography yourself, but rather, sell certificates for a third party photography studio. Companies like Hands Fundraising will send a photographer to your area to take pictures. The way this usually works is that you sell a certificate for a single large family portrait, usually for about $10. You, as the organization doing the selling, get to keep almost all of that $10. Check around to see which organization will give you the largest percentage, because it does vary. You should however, expect to get at least 75 percent. The photography studio makes their profit by selling larger packages once the customer shows up for their $10 portrait. In most cases, additional purchases are not required–so make sure the terms are clear. When your customer shows up for their portrait, they will no doubt get a sales pitch. And while some may want to buy one of the more expensive options, they should not be obligated to do so, and should be able to just walk away with only their $10 portrait and nothing more. Around the Christmas season, you have an additional opportunity here. Photo Christmas cards have become popular, and you can be the one to provide them. Providers such as the one mentioned above, and often local providers as well, can work with you to create custom Christmas cards. All you have to do is get a photograph from your customer, and you (or more likely, your provider) will transform it into an elegant Christmas card. As an option, you could do the Christmas card photography yourself. Although you probably don't want to have amateurs taking portrait photos for hanging on the wall, you may be able to offer the Christmas card photography yourself. Have you ever been to a county fair where they take antiqued photographs? It works this way. They have a studio with old-fashioned props and clothes, and you can have a picture taken that looks like you're in an Old West saloon from 150 years ago. It's cute and fun, and can be very profitable. Of course, the props can be costly, so again, this isn't something that would be easy to set up yourself, but there are third-party organizations that will work with you. Other options may include "glamour" photography sessions, which even come with make-up artists, designer wardrobes and special accessories. Some of the service companies offering glamour options even come with a complete makeover. Photography fundraising can also be incorporated into other fundraisers. Suppose that Valentine's Day is coming up, and you want to take advantage of the day to host a couple's banquet. In addition to the price for entry and the dinner, you can have a photographer on hand to take pictures of each couple against a special romantic setting. Another option is pet portraits. We do love our pets, and people often spend a great deal of money on their cats, dogs, and other animals. Upscale pet stores sell designer pet clothing, expensive accoutrements and even dog jewelry! Special pet portraits will sell very well to an audience of animal lovers. Still another option is to offer photography printed on things like coffee mugs or computer mousepads. This option is simple, and won't even require a professional photography session–you can do it yourself, or use your customers' own photographs–and work with a local custom printshop to create the products.